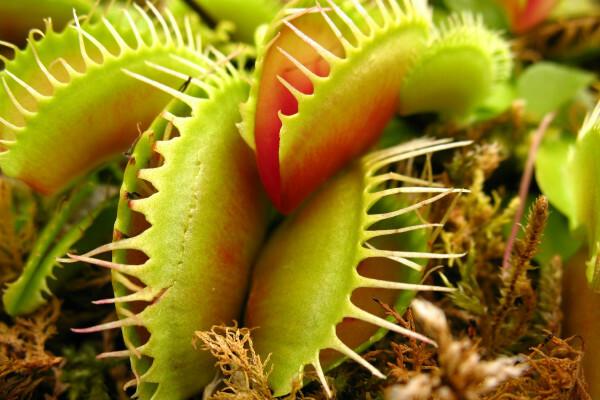 What makes some plants carnivorous? Part of the show Fidget Spinners in Space? Beverley - Okay, then. What makes some plants carnivorous? It’s a nice question. So, the basic problem of being a plant compared to being an animal is that you can't move. And that defines so many of problems and solutions that plants have come up with. So, it all comes down to nutrients and particularly to nitrogen. So just like an animal, plants need nitrogen to build proteins, all the enzymes in a plant’s body that function to do all the metabolism are built out of amino acids and those amino acids need nitrogen. But nitrogen is really hard to get hold of. We of course, get a hold of it by eating things. So, plants have a whole range of different solutions and most of them are trying desperately to tap as much of it as they can out of the soil where it’s at low concentration and very difficult to mobilise. One or two plants living in generally very particularly nitrogen-poor soils particularly acid soils, some bugs and so on, have hit on the idea of actually just turning the tables and taking it back from the animal’s bodies themselves. So, they tend to have trap mechanisms. They trap insects in place and then once they’re trapped, they use proteases and other enzymes to digest those animal bodies and get the protein back for themselves. Chris - They're still green though – these plants – aren’t they? So, that means they must have these chloroplasts that enable them to photosynthesise, make chemical energy using the energy in sunlight. So, why do they bother doing that if they can just grab all their food from the air by being a Venus flytrap for example? Beverley - They wouldn’t get very much food that way actually. It’s a very inefficient way of getting carbon from an animal’s body, much more efficient to do it by photosynthesis. Plants are much better at getting hold of carbon than any animal is. And so, they have the best of both worlds. So getting the carbon from the atmosphere and the nitrogen from the animal’s bodies all at the same time. Chris - Do you have any success growing these things at the Botanic Garden because I was intrigued by them? And everyone here, I mean, if you all kept these things, Venus flytraps are a sort of staple for children, aren’t they? And they all died. I never managed to keep them alive. I used to feed them diligently. Maybe I overfed them. Maybe it was a case of sort of a Venus flytrap obesity. Beverley - I think you overfed them, so I can personally tell you that if you feed them tuna, they die pretty quickly. Beverley - That doesn’t go down well. Chris - Why would that happen? Beverley - I guess, your average Venus flytrap doesn’t meet many tuna in the wild. Chris - But who was feeding it tuna? Beverley - Well, I was, just to see what happens. Chris - You did it, okay. Chris - Always the scientist, okay. Beverley - No. They actually don’t need very much nitrogen. There's enough nitrogen in a very infrequent dose of small fly to keep your average carnivorous plant alive. But you're probably also growing it in the wrong soil. They need quite acidic soil types and most people are treating them too nicely effectively. It’s also worth thinking about using British native ones actually if you're growing them here in this country. We tend to look at the exotics but actually, our own butterworts for instance. A bit less exotic-looking than a Venus flytrap and they trap their insects with sticky hairs rather than clever mechanical traps. But that they're a little bit easier to grow and look after. Previous Why is 42 "the answer to the universe"? Next How much green skin would we need to photosynthesise?